Jean-Claude Biver was celebrated as the saviour of the luxury mechanical watch industry when it was threatened 40 years ago with virtual annihilation by the rise of battery-powered watches. Now head of watches at the world’s biggest luxury group, he explains how the melding of high and low culture is the best chance of the industry’s survival for the next decades. The promotion of luxury goods using so-called low culture is a relatively new development. Nobody could have imagined this in the past. Fifty years ago, nobody would have believed that football could be an appropriate arena for luxury. And in some parts of the world it remains so; for example, in China, sport is still not considered a part of luxury. It is only recently, under the initiative of President Xi Jinping, that entrepreneurs are being encouraged to invest in sport. This change towards the popularisation of luxury culture is not just in my sector, that of watches, it is across the luxury industry in general. Years ago, who would ever have conceived of jeans selling for more than $100? We have seen it in fashion, which is taking a lot of inspiration from the street, and in music. Look at rappers, with music coming from the street. Today, we really have a mash-up: luxury went down to the street, and street goes up to luxury. It’s like a shaker. Everything was previously stratified into classes but now they are being all mixed up and everyone takes inspiration from each other. It started a while back. The first people to do this were English musicians such as The Beatles, The Rolling Stones and The Animals in the 1960s, who dressed totally disruptively when everyone was making their children mini papas and mamas, going to church with their blazers and fine-wool trousers. Now the difference is that it’s not just the guys from Liverpool and Manchester changing everything, it’s the guys from the ghettoes, too. And it’s a global attitude. 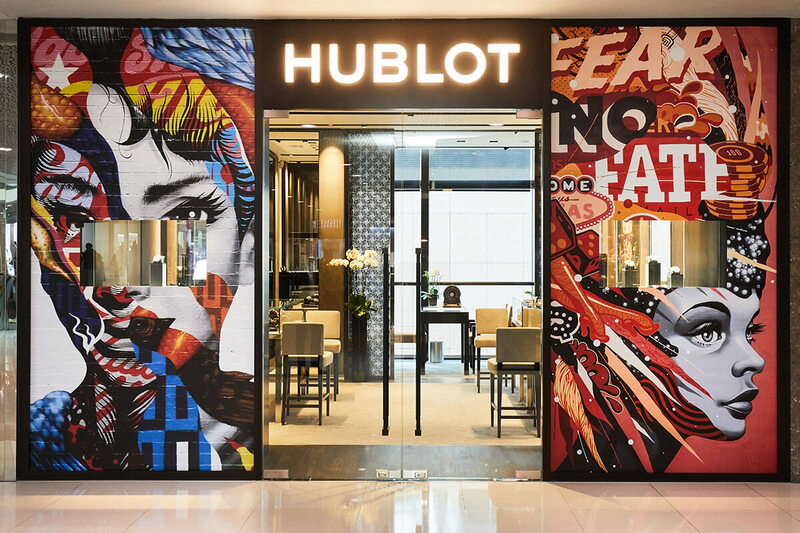 The most significant indication of this trend for me is that Hublot has become extremely successful with a very big turnover in China, where five years ago, we could barely sell one watch. Everyone was saying that in China they do not perceive sports watches as being part of luxury; they wanted wonderful dress watches like Vacheron Constantins and Patek Philippes instead. Zenith [Biver’s traditional watch brand] was outperforming other brands in China, and now Zenith is selling less than Hublot because young Chinese people refuse to wear the watches their parents were wearing. They don’t want to buy classical watches any more. It’s the same with other goods; people don’t want classical furniture any more, they want modern furniture. People want contemporary art because a new generation brings with them new trends and influence. We are now in the middle of a change of generation and this movement will be very strong. By 2030, in just 13 years, those people who will be shaping the century will have been born between 1990 and 2000, they will be between 30 and 40 and will be bringing a huge change in culture and philosophy. You can see it happening now. Check how many 18 year olds drive cars – they are not interested anymore – and very few are wearing watches. Every generational change brings with it new trends into markets, and if a brand doesn’t get it, the brand will disappear. Examine what is happening all around us now: Supreme surfboards have teamed up with Louis Vuitton, yet a few years back could you have imagined a luxury brand doing a partnership with a surf brand? Classical brands will shrink, though they will not disappear. A very classic car make such as Bentley, when it was in the hands of the British, was shrinking and slowly dying but then the Germans bought it and decided to modernise the brand. The old generation objected but whatever doesn’t evolve will die. And while there are exceptions – for example, a Submariner or Daytona watch from Rolex – almost everything has evolved. And even if you take a look at those watches, you will see that they have undergone a subtle but significant evolution over the years. This happens even with contemporary brands – take Google’s first logo and its logo today; the evolution has been enormous. We now have different luxuries which we didn’t have before. The idea of accessible luxury was previously inconceivable. This is because we have promoted luxury through marketing, rather than through prices, which blurs boundaries. For the super-rich now, luxury means uniqueness, something others cannot buy, which is why Lapo Elkann has started Italia Independent, creating bespoke cars which other people cannot get or buy. That is top luxury. And there is a scale. A young woman dreams of a Hermès bag in leather; the next step up is crocodile, then with a gold clasp, then with a gold clasp with diamonds, becoming more and more exclusive. Then you end up having something nobody else has. The association of luxury with street culture, and the blurring of lines, is becoming stronger all the time. You have rappers who sing “F*** your mother” and they are invited by President Obama to have dinner at the White House – it is incredible. Similarly, designers don’t know where to find ideas. Punk hairstyles, tattoos all over your body: these are underworld or underground concepts that have become socialised. Forty years ago tattoos were for the criminal underworld, David Beckham socialised them, now every millionaire has one. I can’t pass judgement on whether this is good or bad – it just indicates the socialisation of our society. And social media, a key vector in that change, makes life much more difficult for brands, because your brand is an environment which is much more competitive. On social media every brand has the same share of voice as yourself; and now the young generation has a lot of curiosity and much less loyalty to brands. So that makes it more difficult. Our greatest challenge is to see if we can seduce this young generation to wear watches. The biggest asset our industry had between 1980 and 2010 was the Swatch effect. It was a 50-dollar watch, but it was full of colour, innovation, joy of life; it was fashionable. People could wear it without it looking like a stupid cheap watch. So every child was suddenly wearing a watch. This young generation, born in the 1970s, have been wearing watches since they were 10. They graduated onto their next watch, an IWC, a Rolex, eventually a Patek Philippe, all started by that first purchase of a Swatch. Now the question is, who promotes watches to children? We hoped Apple would have, but it doesn’t seem children are wearing Apple watches, and we might have a problem later, because this generation does not wear a watch now and may not do so later. For them, it doesn’t seem natural to wear one; people feel more comfortable having a tattoo on their wrist than a watch. It’s a big and educational challenge for the industry. We have to do some fundamental work which we never had to before. Once, it was normal to wear a watch; twenty or thirty years ago, 99 per cent of people were wearing a watch. Now few of this new generation think that a watch should be worn. And so, bringing the argument back full circle, we try to make this young generation dream about us by entering their lifestyle, and when our brand starts to belong to their lifestyle, if we are considered part of it, we have a chance they will buy our watches. And we reach their lifestyle by following their influencers. If you go with Alec Monopoly, he’ll be an influence on them; when we associate ourselves with One Republic, that is another. It’s not about product, it’s about lifestyle and our brands being part of it. If you want to seduce them with gold watches, forget it; that’s not what attracts them. To seduce the new generation, we must understand their lifestyles. Jean-Claude Biver is president of LVMH Watch Brands and chairman of Hublot.